A family-owned site, we work hard to keep our campsite immaculately clean and well manicured to ensure that whether you choose to bring your caravan, motorhome, tent or decide to opt for luxury in one of our ready-pitched Eurotents or Static Caravans, you can be sure of a memorable camping holiday at one of the finest campsites in Cornwall. Trevornick’s glorious location next to the beautiful and dog friendly National Trust beach at Holywell Bay, lends an undeniable sense of freedom to our campsite. The rolling, sandy dunes are just a short walk away and the iconic Gull Rocks from a spectacular viewpoint on our campsite. Located just five miles from Newquay on Cornwall’s north coast Holywell Bay offers a sensationally sandy beach with a much quieter, family friendly environment. For more information on all we have to offer our guests visit our On Site page. Campsites in Cornwall really don’t get much better than this! Dog friendly, pond view, away from it all or where the action is? 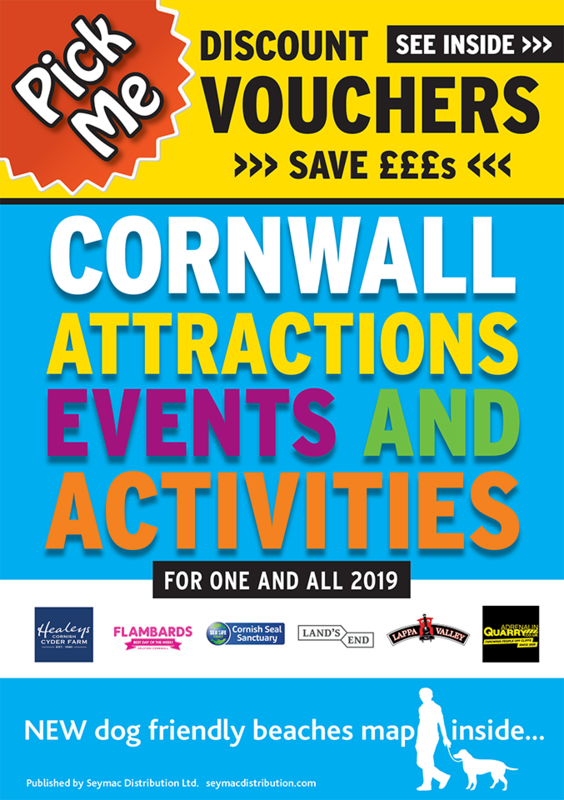 With seven fields and six different pitch types to choose from our five-star campsite offers excellent facilities for holidaying and camping in Cornwall. Widely renowned as one of the finest campsites in Cornwall we pride ourselves on offering high quality pitches with a wide range of facilities to make your camping experience one to remember. Trevornick’s location next to the sandy dunes that lead to Holywell Bay, lends an undeniable sense of freedom and an unbeatable camping experience. For unique family holidays in Cornwall, try a glamping Eurotent at Trevornick Holiday Park! Enjoy family glamping holidays in Cornwall with a stay in one of our Eurotents, a ready-made solution for families looking for a unique and enjoyable holiday in Cornwall. The Eurotents at Trevornick are large pre-erected tents that offer three separate bedrooms ready-equipped with beds, generous living and dining space with TV/DVD and a well furnished kitchen complete with cooking equipment, fridge, microwave and internal lighting. Eurotent holidays offer the ultimate in practical camping comfort with spacious interiors, gas and electricity hook ups and plenty of storage space. They offer a hassle-free glamping experience for families who want to spend more time enjoying the great outdoors and less time hammering in tent pegs. Eurotent holidays make camping so easy for families and offer a perfect glamping middle ground in being convenient, practical, comfortable and affordable. We have a great reputation among touring caravan fans for the quality and service that we provide. As one of the finest touring caravan sites in Cornwall, Trevornick is ideal for those looking for an exceptionally well maintained touring caravan park with all the facilities you could ever need. Don’t forget that our touring caravan site is suitable for trailer tents and large family tents too. We have six different types of caravan pitch available, including standard, electric hook-ups, premium, premium plus, super and super plus pitches and a choice of seven fields to choose from. Enjoy cool and comfy accommodation, boasting wide-open views and all the mod cons you’d expect of a top-notch holiday home in Trevornick's new Static Caravans. Situated in the top half of Red Field, The Cove features 7 beautifully landscaped tiers with wide-reaching views. Each of the 26 holiday vans has been decked out to make your stay extraordinary. Expect funky beach chic décor, a fully equipped kitchen, large flat screen TV, USB charging points plus Wifi access! Relax on the decking or dine alfresco when the sun shines. Choose from three different styles of interiors – Contemporary Chic, laidback coastal and stylish comfort. With two or three bedrooms, each caravan is kitted out with a fully equipped kitchen, plush living area leading to a decking area where you can soak up the sun, luxury beds to snuggle in and powerful shower rooms.